I provide troubleshooting services for existing sites. For this one, I fixed several issues on a Joomla based website. This included style changes to remove all caps styles that were bothering the site owner. When this site was launched, the settings were not updated for her tag line and mobile view settings were not enabled. I updated the site description for Google snippets, enabled mobile settings, and updated keywords for SEO. 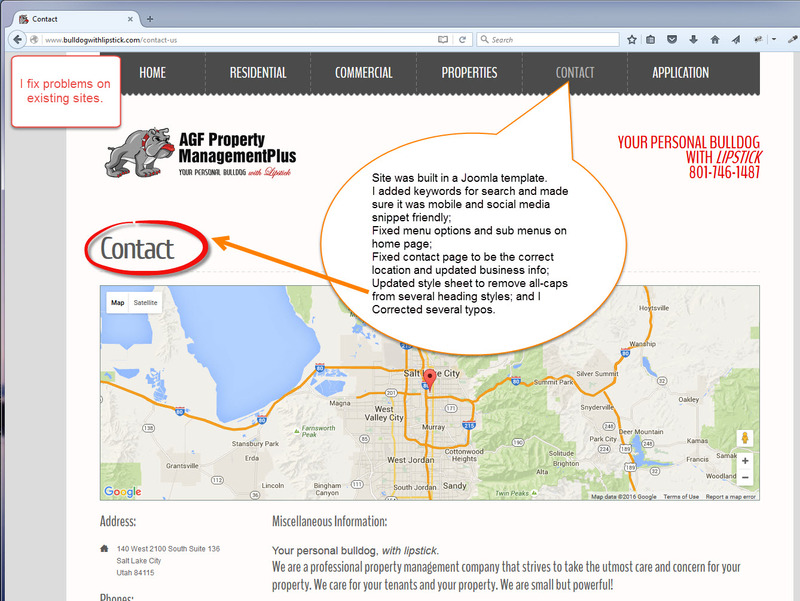 The contact page was still showing Latin placeholder text and was not set to the site owner’s location. There were also spelling errors in several places.